There are a number of exciting Northern Michigan events slated to be performed at Interlochen Center for the Arts this fall. Music, theatre, comedy and more are on tap– sometimes all three at once, as with a performance by Ana Gasteyer on October 16. Most famous for her time on Saturday Night Live, the versatile actress/singer/comedian is also an Interlochen Arts Camp alum. 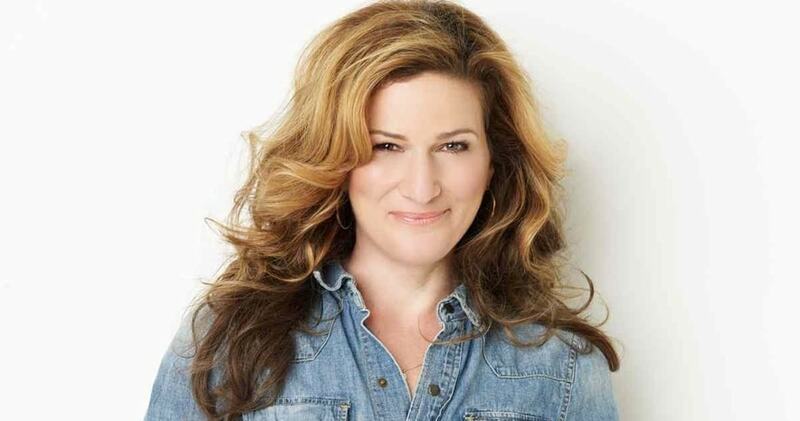 After graduating from Northwestern University, Gasteyer went on to perform with the improvisational comedy troupe the Groundlings, before her six-year stint as one of the Not Ready for Prime Time Players on SNL. There she portrayed everyone from Martha Stewart to Celine Dion, as well as creating such characters as high school music teacher Bobbie Mohan-Culp, NPR host Margaret Jo McCullen, and Lilith Festival feminist singer Cinder Calhoun. Following Saturday Night Live, Gasteyer starred in movies (Lindsay Lohan’s mom in fellow SNL alum Tina Fey’s Mean Girls), television (Curb Your Enthusiasm, Suburgatory), and theatre (The Threepenny Opera, Wicked, The Royal Family). One of her most recent projects is singing with a big swing band on her album, I’m Hip. Other highlights for this season at Interlochen include the period music ensembles Barbara Furtuna and Constantinople (the former a male a capella group hailing from Corsica, the latter a period music ensemble focused on the music of medieval and Renaissance Europe, the Mediterranean and Middle East); classical and jazz guitarist Julian Lage performing at Dendrinos Chapel and Recital Hall; and theatrical presentations Urinetown and Rent. In addition to performances, the Interlochen College of Creative Arts has also released its fall schedule of classes and workshops for adults. The schedule includes classes and workshops in music, jewelry design, art, creative writing, and digital audio, among other subjects. Tickets are on sale now at tickets.interlochen.org, and class registration is available now at college.interlochen.org. This rapid-fire arts sampler showcases the talents of students in all arts areas: Dance, music, creative writing, motion picture arts, visual arts and theatre. One of the world’s premier ballet companies showcases both classical ballet and modern dance. A blend of Corsican tradition, European harmonies, Middle Eastern instruments, and renaissance sounds. The daring, machine-inspired acrobatics troupe returns to Interlochen. Think Cirque du Soleil done steampunk. One of the most famous German plays ever written, The Caucasian Chalk Circle is a parable about good parenting. Veteran classical and jazz guitarist Julian Lage brings his virtuosic improvisations to Interlochen’s stage. Yeh is the first Asian musician ever appointed to the Chicago Symphony Orchestra, as well as the longest-serving clarinetist in CSO history. He’s also the director of Chicago Pro Musica, a chamber music offshoot of the CSO. This satirical comedy tackles the legal system, capitalism and the Broadway musical itself in the drama surrounding pay-to-use restrooms. Tchaikovsky’s classic ballet captures the whimsical magic of the Holiday season through captivating music and dance. Celebrate the season with selections from Interlochen Arts Academy’s bands and choirs. Celebrated pianist Richard Goode performs a selection of Beethoven sonatas. This seasonal festival features eclectic marching band Mucca Pazza in a unique showcase of music, dance, acrobatics and humor. Interlochen Arts Academy dance students present a performance of their recent ballet, jazz and modern repertory. The 1976 revision of Tennessee Williams’ The Summer and Smoke vividly captures the internal battle of changing philosophical positions and the ramifications of our choices. A three-night showcase based around a single composer. This challenging musical chronicles a year in the lives of several HIV positive Bohemians as they struggle with love, illness and poverty. Looking for fun around Interlochen? Check out the MyNorth Vacation Guide for Traverse City!